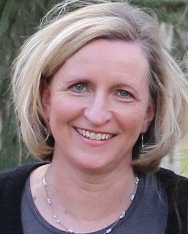 The Young Living oils company has been in existence since 1994. They are the world leader in essential oil production owning their own farms all around the world. They carry the most single oils and blended oils than any other company in the world. 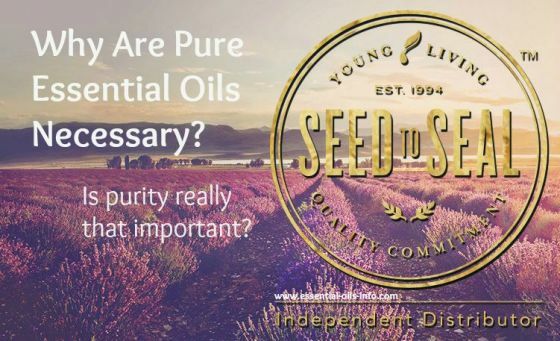 Young Living Essential Oils produces pure, authentic oils and believe that the truest and lasting solutions come from nature. What does Seed to Seal mean? Seed – They select seeds that produce the highest value. Cultivate – They prepare the soil, insure the proper balance of sun and water, and use responsible weed and pest control. They have strict standards for both their farms and partner farms. Distill – Young Living uses a low-pressure steam distillation process. They harvest and distill plants at just the right time to ensure the highest quality oil. Test – Young Living oils are tested both in-house and by third-party facilities to make sure that the oils meet and exceed even international standards. This guarantees consistent quality. Seal – Each bottle that is filled is carefully sealed, inspected and encoded with detailed tracking information so that they can trace where it came from. When using essential oils, it’s important to use only pure essential oils because most essential oils contain additives, solvents and impure ingredients. Using pure oils on children is vital although all ages benefit from using pure therapeutic grade oils. There are no added chemicals so these are pure oils. Therefore, quicker and more natural results can be achieved. 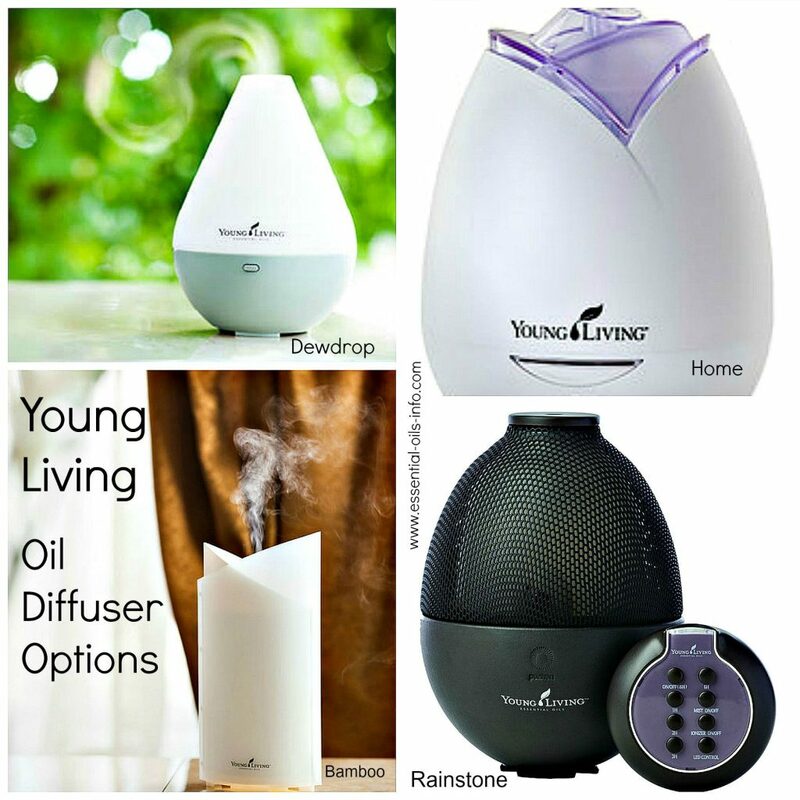 Young Living has several different types of diffusers to choose from. Here are the names and characteristics of each. Desert Mist Diffuser – This is the newest of the Young Living diffusers. It has 11 light settings and also features a candlelight flicker mode. When set to high it runs 5 hours. When set on low, it runs 8 hours. The intermittent setting (1 minute on and 1 minute off) allows this diffuser to run 10 hours! Covers approximately 323 square feet. Home Diffuser – This is a humidifier, air purifier, and aromatic diffuser in one product. It safely releases essential oils into the air and can be used continuously or intermittently. The light can be turned on or off. It uses distilled water and covers 100-300 square feet. Dew Drop Diffuser – This is a humidifier, atomizer and aroma diffuser. It contains ultrasonic technology that breaks essential oils and water into millions of microparticles that are dispersed into the air. It runs for four hours and has an automatic shut-off. The light can be turned on or off. This model uses tap water instead of distilled water. Covers 320 square feet. Bamboo Diffuser – Uses ultrasonic technology to emit fine microparticles of essential oils and water into the air. Uses tap water instead of distilled water. It has an LED light, timer settings for one to four hours and covers up to 300 square feet. Measures 25.2cm tall. Rainstone Diffuser – Uses state-of-the-art ultrasonic technology that diffuses essential oils and tap water for up to 8 hours. It has ambient light settings, a remote control, and a negative ionizer. Covers 320 square feet. Aria Ultrasonic Diffuser – Solid American maple base with a remote and glass dome that delivers essential oils and water vapor into the air. Contains multi-colored LED lights and offers a selection of built-in sounds. It contains 12 minutes of relaxing music and provides an AV cord to plug in and listen to any music desired. Covers 200-300 square feet. TheraPro – This is an advanced atomizing diffuser that has durable and high-quality components that will stand up to repeated use in many environments. It covers 600-800 square feet. Comes with Thieves essential oil. No water is needed. Travel Fan Diffuser – This is a convenient and portable diffuser that can diffuse any essential oil. Cool air is blown through an essential oil pad into the air for a therapeutic effect. It has a powerful mini fan and uses all natural high-density essential oil pads. It runs for about 19 1/2 hours on 4 batteries and covers 80 square feet. You don’t need water to use this diffuser. USB Orb Diffuser – This specially designed spillproof diffuser is great for the car, office, or small space at home. It has an intermittent blue LED light or a continuous green LED light. It will diffuse for up to 4.5 hours and covers 50 square feet. Includes 3 oils wicks and uses tap water. USB Diffuser – This is a compact diffuser that is used in a laptop, car, office or travel. It functions as an air purifier and aroma diffuser in one. No water is needed. It is compact and silent and has 10, 30, or 60-second intervals. It also comes in a choice of 4 colors – black, white, pink, or purple. 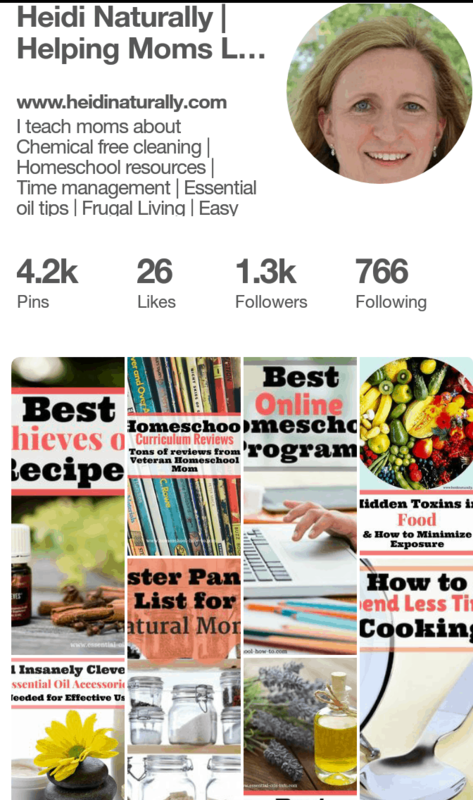 There are three ways to use essential oils. People apply them to their skin, ingest them, and inhale them. 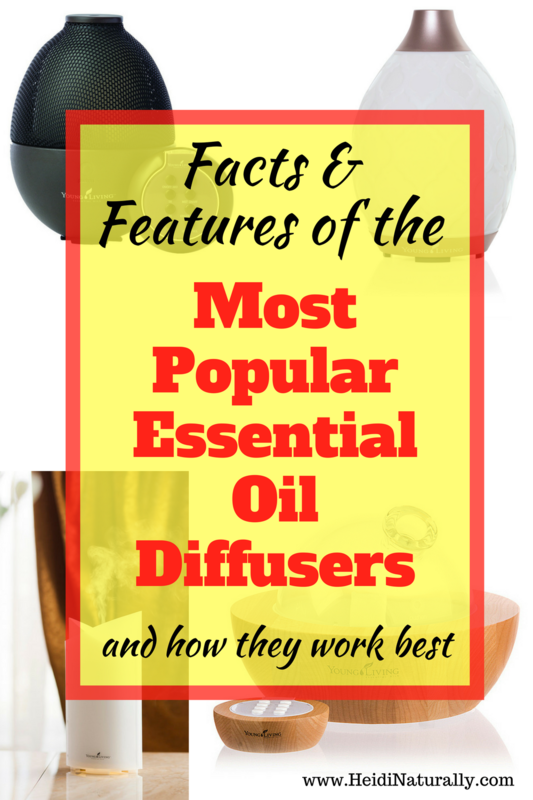 Diffusers allow people to inhale the oils for long periods of time. This way we don’t have to walk around with an essential oil bottle held up to our noses. Diffusers also help create a therapeutic environment in the home, office, school, and more. It’s important to use pure therapeutic grade oils. This way family members are not inhaling chemicals and solvents from low-quality oils. Check the instructions below to get high-quality essential oils for the best price. Anyone can purchase Young Living essential oils wholesale or retail. The wholesale cost can be used after purchasing one of the Young Living starter oil kits. These kits provide product discounts and allow consumers to purchase oils at 24% off retail on future purchases. The Premium Starter Kit actually provides discounted oils and a FREE diffuser! Purchase pure therapeutic grade essential oils at the wholesale cost since they are cheaper than the retail cost. Young Living’s vision is to get essential oils in every home. Offering discount pricing is one way that they are working to accomplish their vision. 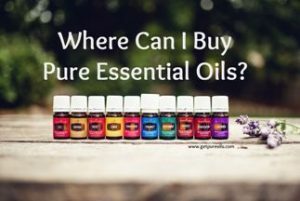 Buying essential oils from Young Living is the best way to get pure oils at the best price. Create a member account at www.getpureoils.com and choose a starter kit. There is never any expectation to sell to anyone or do this as a business. Young Living just provides a way to use oils at the best cost. There is also a rewards program where members can earn points and get free oils from their purchases. Feel free to contact me if you have any questions about how and where to buy oils. Once you become a Young Living member, I provide classes and a resource book to help you learn about how to use essential oils most effectively. 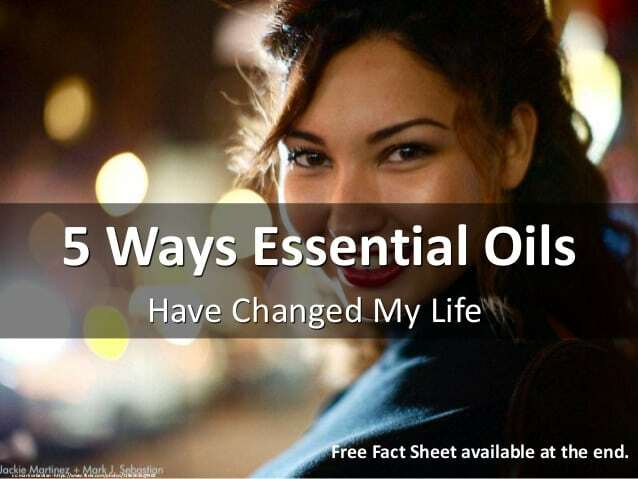 FREE Essential Oil Fact Sheet here – All you need to know about essential oils on one sheet!